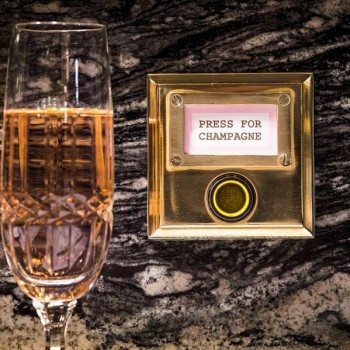 The restaurateur behind Soho’s Bob Bob Ricard, known for its ‘push for Champagne’ buttons, has confirmed plans to open a second restaurant in the City of London that will feature live fine wine auctions every 30 minutes. The Soho restaurant’s famous ‘press for Champagne’ buttons. Leonid Shutov’s second venture, which is currently going under the working title of Bob Bob Exchange (BBX), is expected to open in Spring 2017 in the Leadenhall Building, otherwise known as the cheesegrater. Taking up the entire third floor, the 180-cover restaurant will include an all-booth dining room divided into seating for between two and eight people. A further 120 covers will be spread across a clutch of private dining rooms that will cater for four to 40 diners. Available in standard and executive class, the latter will offer diners their own bar and “private jet style seating”. In addition, a micro restaurant catering for just nine diners will sit within a private dining room at BBX, where sushi, sashimi and tempura will be served. Wine buffs will be intrigued by plans for the restaurant to host regular live auctions for fine wines that will start at cost. Every 30 minutes diners will invited to compete to buy fine wines via display screens placed throughout the restaurant. Shutov has said he plans to serve house Champagne from methuselahs (6 liters) at about £14 a glass ($19.50). 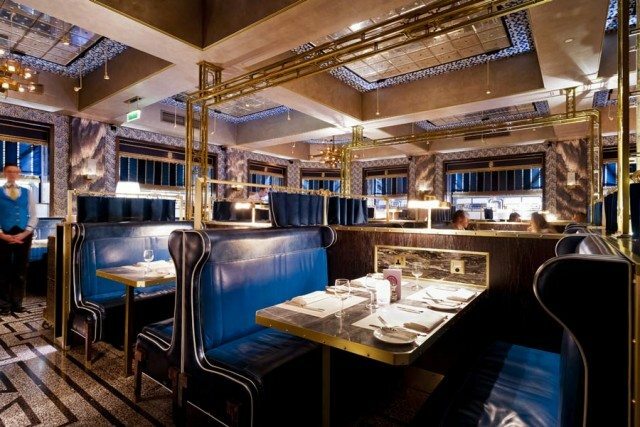 The new restaurant will serve “seasonal meat, fish and vegetables cooked over an open flame or smoked in-house”, and will also feature ‘press for Champagne’ buttons at each table, which have become a trademark of Bob Bob Ricard in Soho.